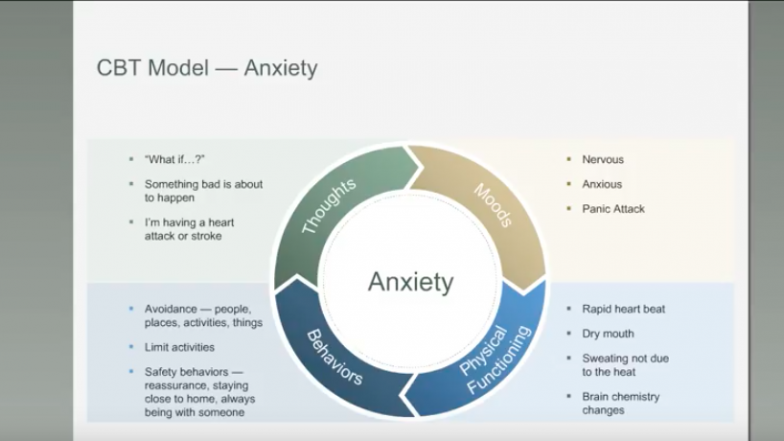 Cognitive Behavior Therapy (CBT) is the most extensively studied (and most effective) type of therapy for anxiety and depression. Watch this video, by one of the foremost leaders in CBT, explaining how CBT works for both conditions. 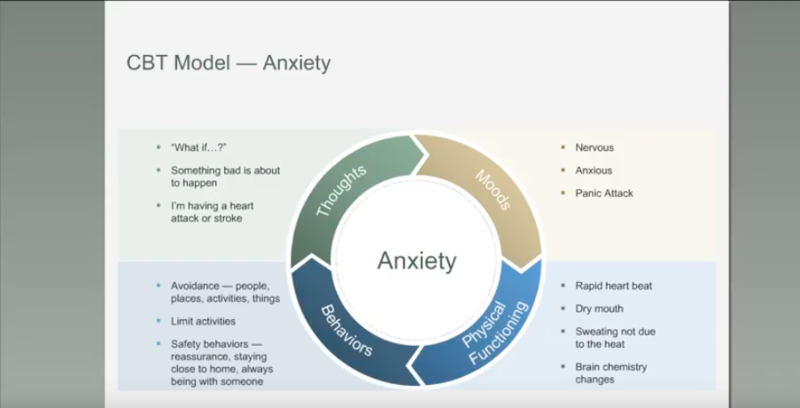 This webinar is an educational presentation, offered by the ADAA (Anxiety & Depression Association of America), of which I am a member. I recommend beginning at minute “4” and after minute “39” there’s an optional Q & A period. I highly recommend the CBT Fact Sheet for Depression as well.